Is Spaghetti Killing Your Race Time? 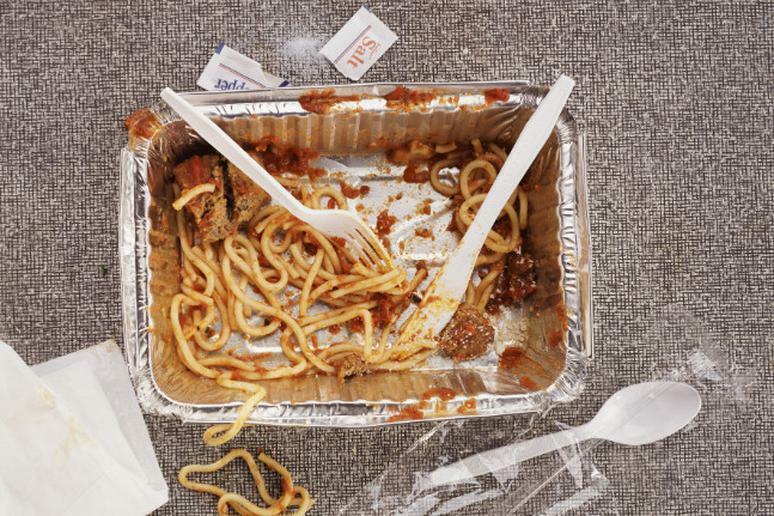 RUNNING ON EMPTY: Trying to cram all of your carbs into one pre-race meal is a surefire recipe for bonking. The night before a marathon, conventional wisdom says, runners should chow down on buckets of pasta, bread and any other refined carbohydrate they can get their hands on. They justify these pre-race gluts as “carbo-loading,” but according to Atlanta-based sports nutritionist and triathlete Ilana Katz, that doesn’t really cut it. Sure, carbo-loading is an important part of fueling before long-distance races, but over the years, she says, the ritual has warped into a meal of heavy sauces, butter and spaghetti and meatballs, leaving all the benefits of carbo-loading overshadowed by foods that could potentially hurt a runner during the race. The point of carbo-loading is to maximize the amount of glycogen in your system before a long run, which allows you to spare as much fuel as possible during a race. According to Katz, your body can only store 1,200 to 1,600 calories of glycogen at any given time—enough to power your through 90 minutes to two hours of running—so maximizing that glycogen is important to keep up your energy levels throughout a race. Rather than try to get all of those carbs from one big dinner the night before a race, Katz says, runners should start carbo-loading three days before an athletic event and progressively increase the amount of carbs they consume until race day. Three days before, about 70 to 80 percent of a runner’s diet should consist of carbs, and that number should increase to between 95 and 100 percent the day before a race. She warns that runners should not change the amount of calories they eat, only the percentage of carbohydrates they consume versus other nutrients, to help prevent against weight gain. What should you eat? Katz recommends eating simple carbohydrates—ones without fiber or any other added nutrients. She says that fiber can cause bloating and discomfort before a race. She also recommends staying away from cream sauces, fibrous vegetables and protein, because they take longer to digest than carbs and won’t be turned into usable glycogen in time for race day. Theories about carbo-loading go back to the 1930s, when scientists began studying how food affects athletic performances. Originally, dieticians recommended athletes deplete all the carbohydrates from their systems a few days before an event. The idea was that when an athlete started carbo-loading right before the race, game or whatever, the body would absorb the carbs faster, because it had been recently starved of them. That’s no longer recommended, Katz says, because it can lead to dehydration. And that leads us to another point: It’s very important to stay hydrated while carbo-loading. Carbs hold onto water, which will help you out when you’re putting your body through the stress of a long, hard race. While a three-day-long carbo-loading may make you feel heavier (you could even put on a couple of pounds before race day), it will help prolong your body’s energy stores, allowing you to stay strong deeper into your race and stave off bonking. Whether you do it right or not can make or break your race day.